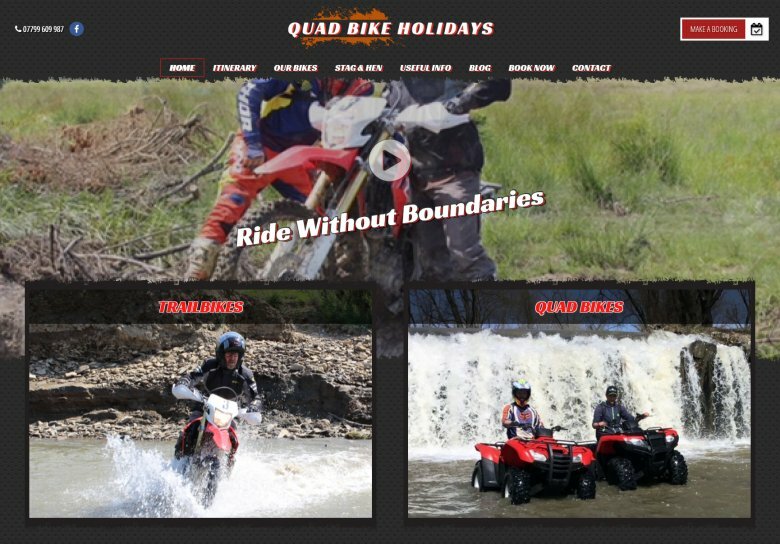 We are excited to share our latest travel website – Quad Bike Holidays. 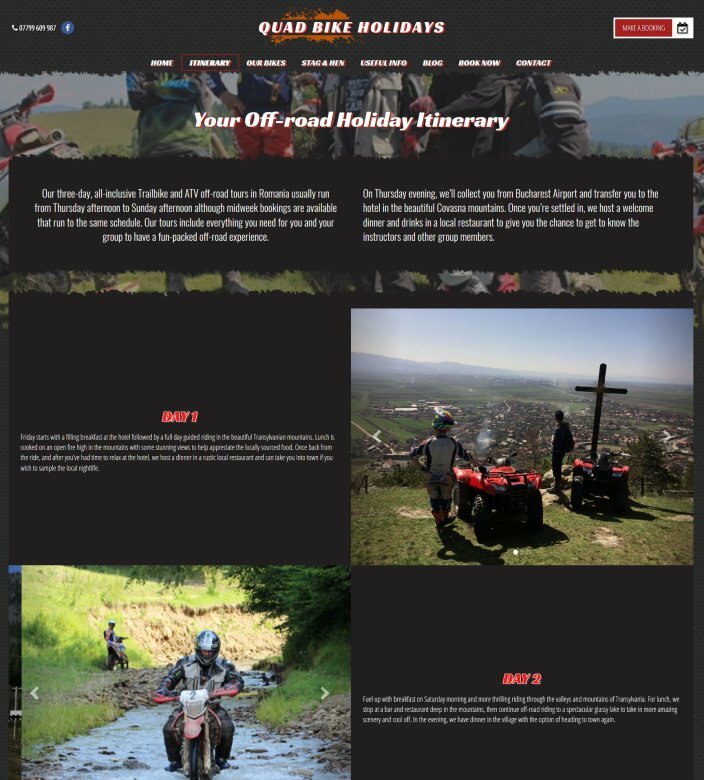 This unique travel company offers trailbike and ATV off-road tours across Romania! 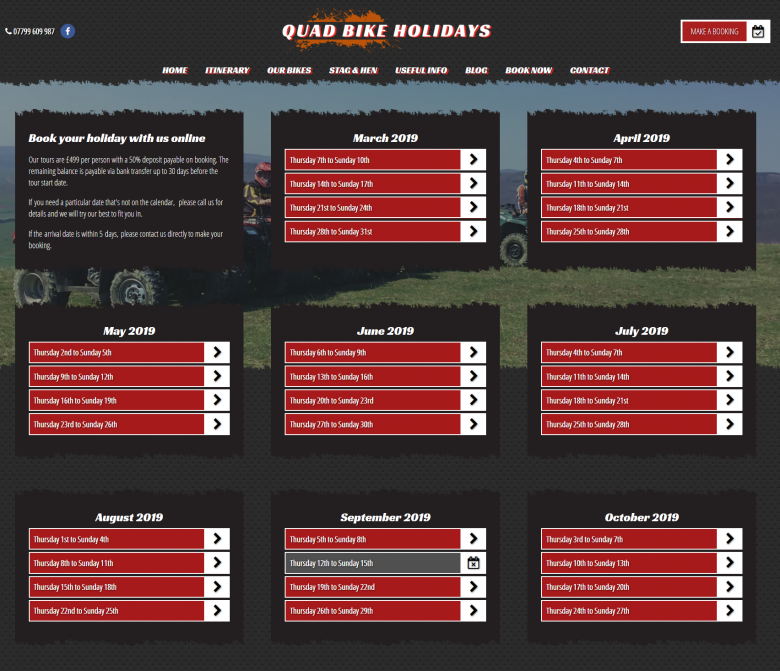 Designed to attract thrill seekers and those after an alternative travel experience, the new website incorporates a colour scheme, typography and imagery which reinforces the fun packed holidays Quad Bike Holidays provides. 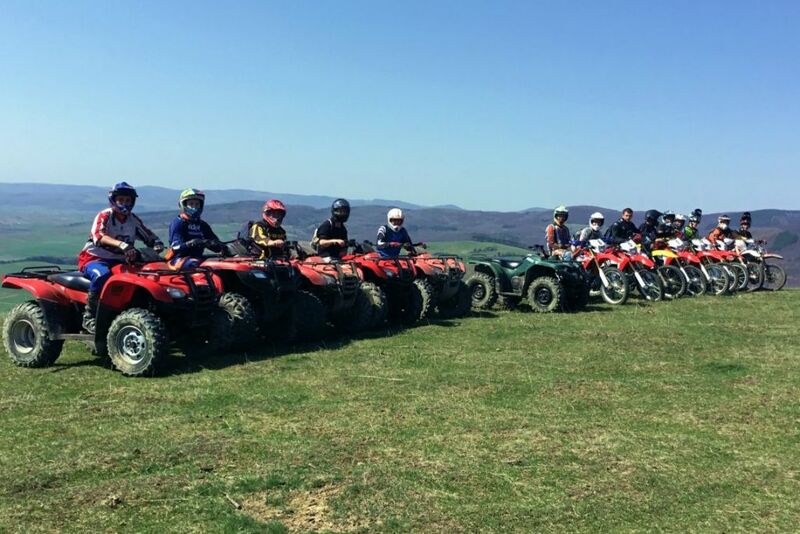 Imagery from previous tours that capture the action filled excitement while importantly portraying the contrast between the fun rugged terrain with the beautiful backdrop of Transylvania’s rolling hills are used widely. The homepage additionally calls the user to play a marketing video that showcases the adrenaline filled off-roading experience with high tempo background music designed to further energize the viewer. Prominent call-to-action links for both trailbikes and quad bikes are used on the homepage, linking through to a page that explains each. This was deliberate as it importantly attracts potential travellers that are looking for a different experience from their next holiday but may not be comfortable on two wheels! Showcasing both options ensures it’s clear the holiday is suitable for a party of travellers with a various range of abilities. Built using our powerful CMS solution for travel operators, the new website is managed via a secure dashboard allowing Quad Bike Holidays to manage their bookings, page content and blog entries. If you are interested in a new website design for your travel or tour company, or you'd like to hear more about our new tour management system, then contact The Travel Web Design Agency today.